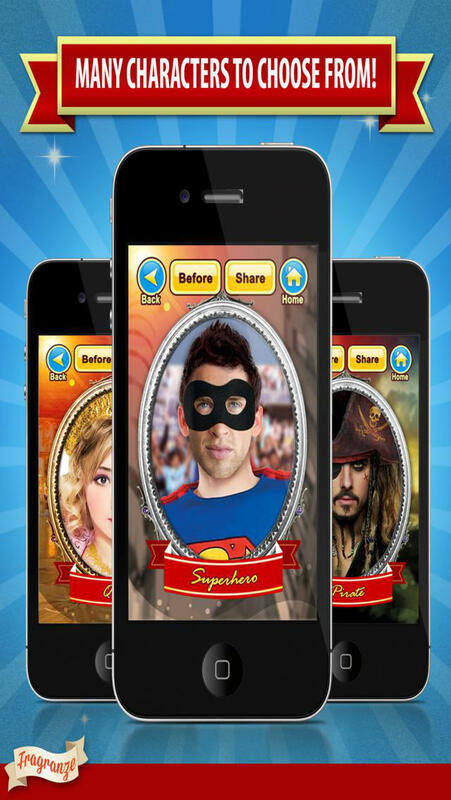 Fancy Dress Booth is the app that allows you to ‘dress up’ as your favorite fancy dress characters and explore your role play ideas! Use your own store photographs or take a new photograph! Superhero – Be a hero! Vampire – Keep out of the light! WereWolf – Keep Away From Silver! King – Yes My King! ~ The ability to earn extra coins for FREE! ~ Compare your before/after look! ~ Save your photos, or email them, share them on Facebook & Twitter! ~ Full instruction guide within the app! ~ Easy to use – Fun for hours and hours! ~ Universal App – Works with iPhone, iPad & iPod Touch!